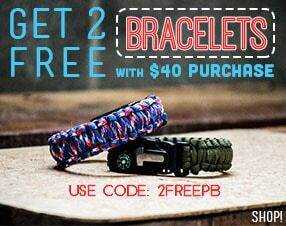 As my fellow paracorders, I know you love showing everyone how fun and diverse paracord really can be. You can make or improve literally almost anything! 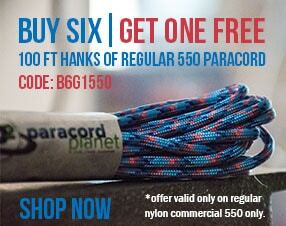 From dog collars, knife handles, Christmas ornaments, to hammocks and animals - anything can happen with paracord! We all know paracord is fashionable as a bracelet, lanyard, or key fob, but what about all the other awesome ways to jazz up your regular attire? I'm going to give you an in-depth look at the many ways you can be a paracord fashion ICON. Before (unfortunately) sandal season is over, we need to bedazzle for a memorable end-of-season. This tutorial from Instructables.com ( http://ow.ly/Tv9Gl) gives you 2 different paracord footwear ideas. The first is a full-sandal look and the second (at step 7) he give directions on how to make a flip-flop style sandal. Who likes to carry around a water bottle in their hands all day? Not me! Sometimes your water bottle is just too big for your purse (plus there's the terrifying thought that it could spill all over inside your purse). While the blog (Red Vaszi) doesn't match the photo, I think you can all make the adjustments if you like the koozie that's in the photo better. I love the fact that it swings over her shoulder and she added a cobra weave to the shoulder strap to make it more comfortable. This next one is a necessity for anyone! A paracord belt. Who doesn't need a belt?! You can make multiple belts in multiple colors to match with any outfit! Everyone will want to know where you got it from, I'm positive. This is a fantastic tutorial from DIYready.com that will help you get ready for your next formal or informal event. This is a great project for fashionistas, athletes, or survivalists. It's benefits are 2-fold. First, it'll hold your hair out of your face with ease; second, if you need it for survival just unravel it and BAM you have 20 feet of paracord ready in a flash. A few pictures in the tutorial are missing, but the descriptions are great so I have nothing but confidence in all of you! This one is brought to us by GirlGoneWilderness.com. I saved necklaces for last since there's a TON of really fun and unique options!! In no particular order, I present you with the Celtic Heart! Here is a fun pictorial for making the Celtic Heart into a bracelet. This next one is an edgy (and easy!) paracord washer necklace, brought to you by Paracord Planet. This next one is a very cool Nautical Necklace, with a very nice pictorial brought to us by A Pretty Nest. Do you have any paracord fashion tips or ideas to add? Let us know in the comment section below, or on Facebook, Twitter,Instagram, Pinterest, or Google+.